Happy Friday!! 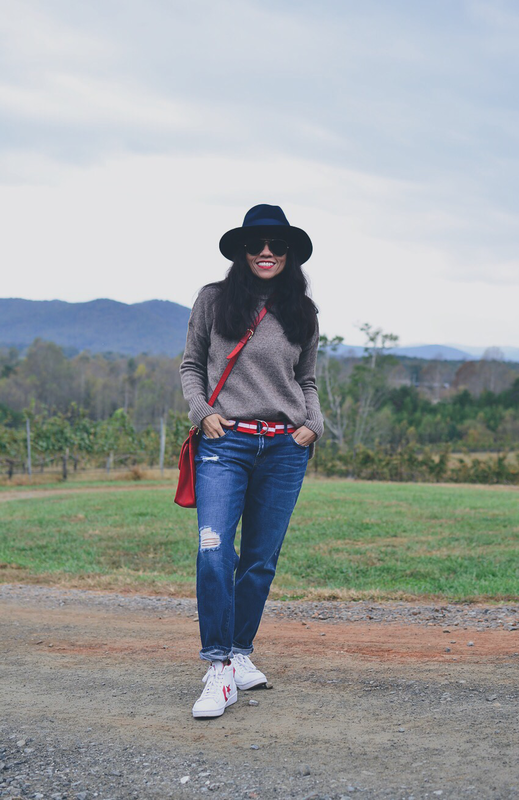 The weekend is finally here and with that in mind, I'm sharing with you an outfit that I totally would wear on a weekend. 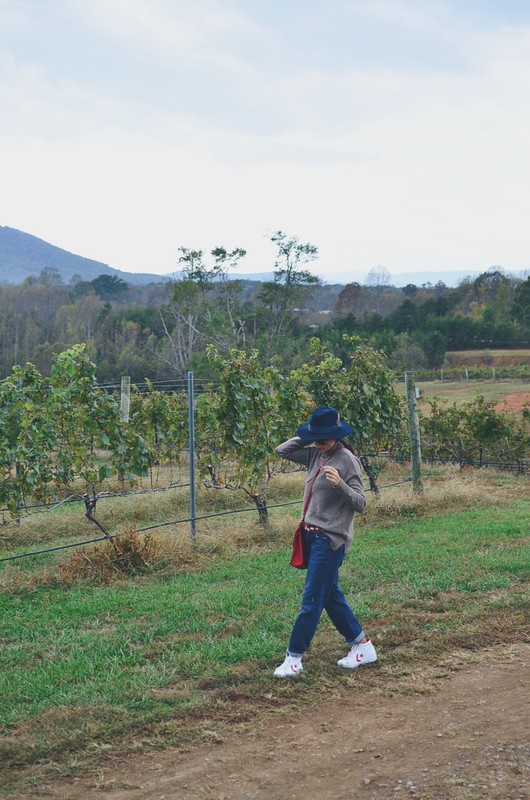 I wore this look on a weekday to visit a couple of local vineyards here in North Carolina. 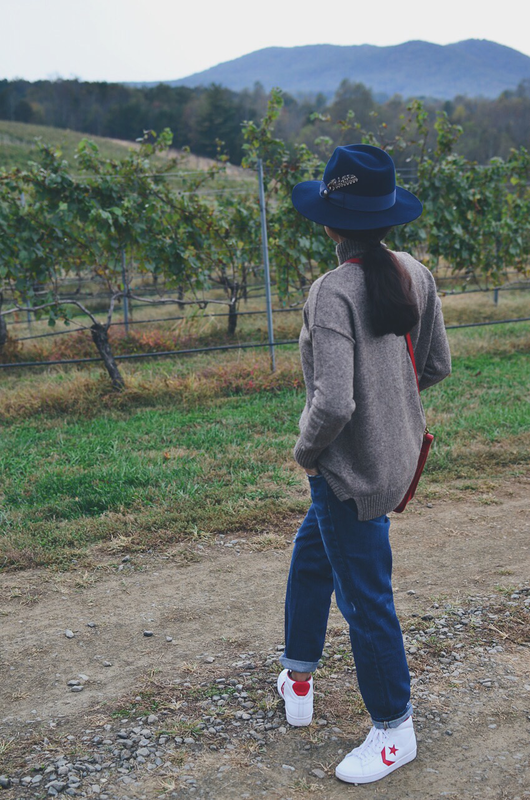 When visiting vineyards, I usually like to wear bohemian style outfits, but considering the chilly weather of Fall, I opted to wear something different this time. 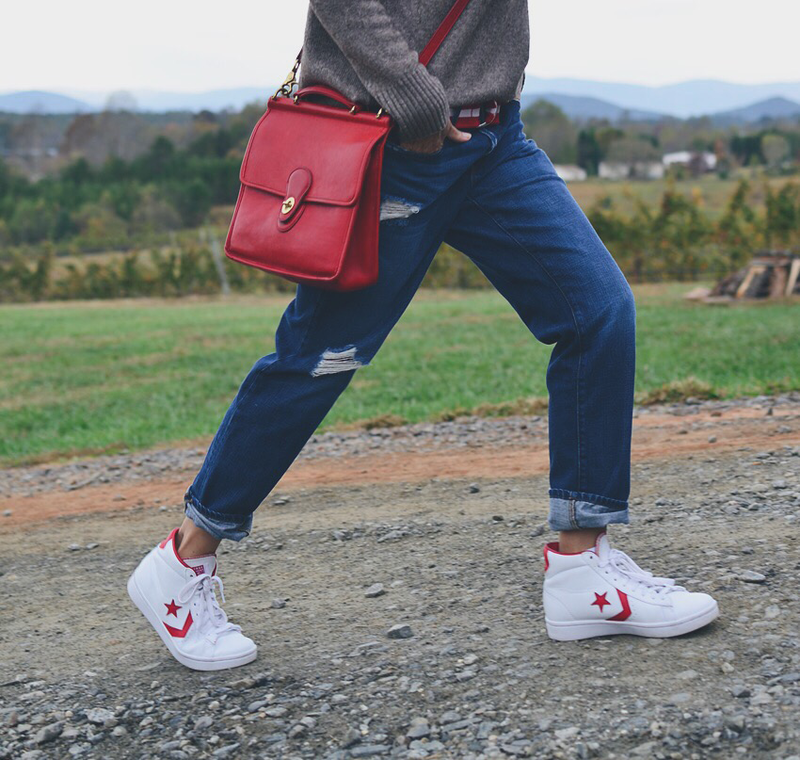 On weekends or easy days, I tend to gravitate more toward my high-top sneakers than the low-top. 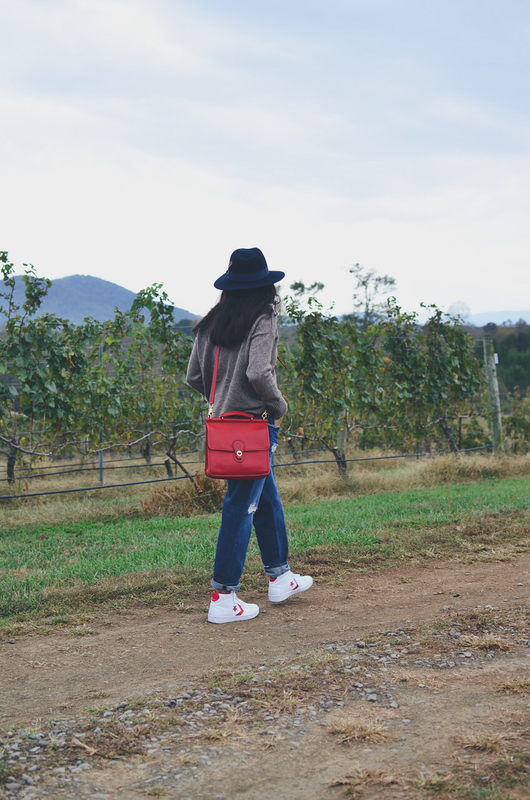 I love sneakers in general, however, I feel like high tops are more comfortable and stylish. 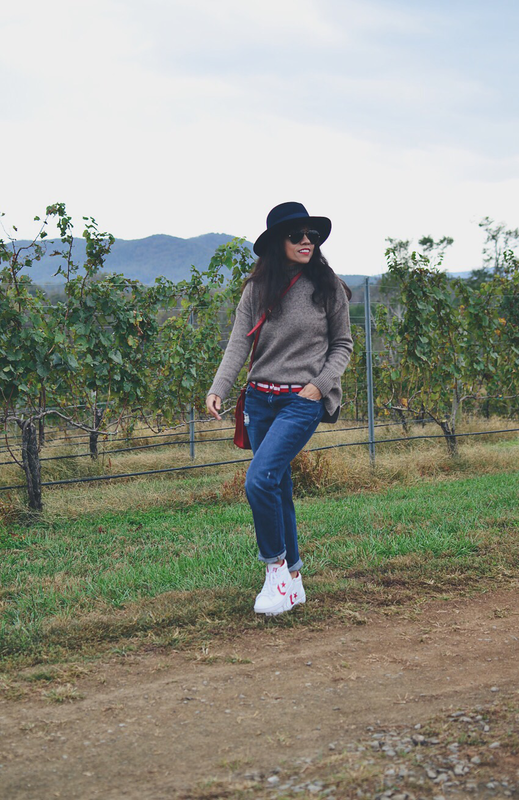 As you see, I paired my kicks with a loose sweater and boyfriend jeans for a comfy look. I wanted to add a touch of preppiness, so what's better than wearing a canvas striped belt, which by the way, coordinated perfectly with my Converse and bag. High-top sneakers: Converse (80's re-issue). 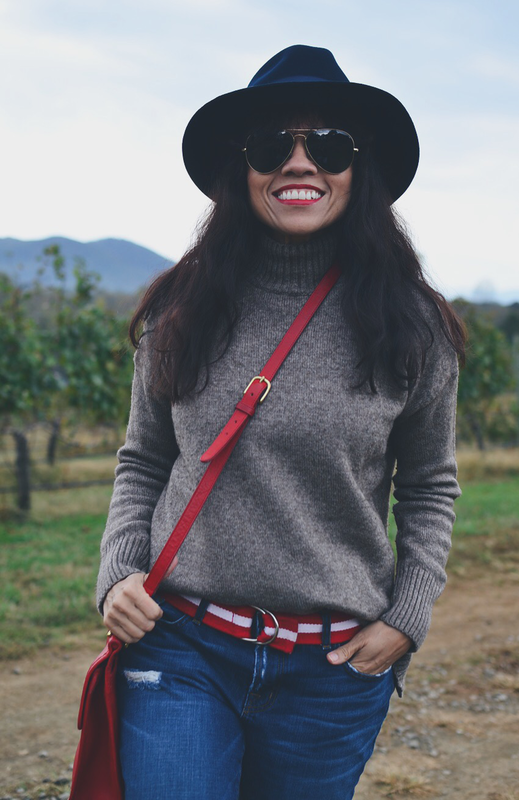 Similar/Turtleneck Sweater: Gap. Similar/Boyfriend Jeans: J. Brand. Similar/Messenger Bag: Coach (vintage). Similar/Fedora Hat: Goorin Brothers. Similar/Aviator Sunglasses: Ray-Ban.